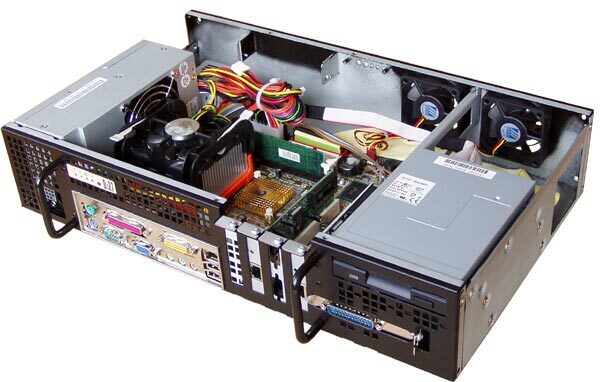 This remarkable chassis is designed to provide significant savings in rack-mount real estate usage in 2U rack mount space (using a wide range of regular PC hardware). A 2-way mounting cover and plenty of airflow space permit to fit 2 units back-to-back, effectively doubling capacity and connection options. 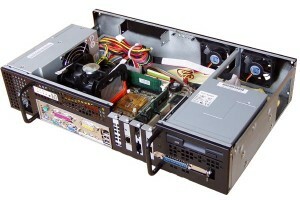 Such reverse design means that all connections are present on the front panel, thereby eliminating the inaccessibility problems suffered by competitor products. 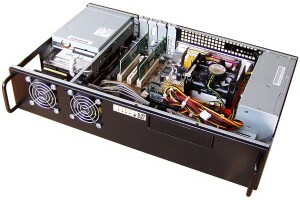 Thanks to compact design and efficient ventilation, chassis can be used for building high-density 2U server solution that meets the high demands of today's business computing environment in non-deep racks or in add-on mini-cabinets within limited spaces (bandwidth monitor, firewall, router, small server).